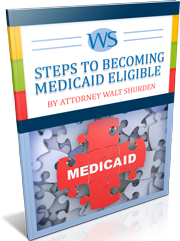 Walt Shurden is an Elder Law Attorney located in Clearwater, Florida who practices in the area of Medicaid planning and qualification for seniors and disabled persons, VA pension planning and Estate Planning. Walt graduated from High School, in Louisville, Kentucky in 1981. After three years of service in the Marines he attended Mercer University, in Macon, Georgia and graduated in 1988 with a Bachelors in Finance. After one year of post graduate classes at Georgia College, he worked in the Atlanta area for 6 years as a an accountant, becoming a Georgia Certified Public Accountant during that time. Walt graduated from Walter F. George School of Law at Mercer University, in Macon, Georgia, in 1998. He became Board Certified in Elder Law by the Florida Bar in June 2004. He has served on the Board of two non­profit organizations in Pinellas County, the CLE committee of the Florida Bar, speaks frequently to senior church and community groups.